An ice rink discount will be offered to users of the new temporary park and ride in Lincoln this weekend, ahead of what’s expected to be the busiest two days of the year for shopping. Lincoln BIG’s Christmas Park & Ride topped expectations by attracting more than 300 users over three days last weekend. It is anticipated that even more people will flock to use the facility this Friday, Saturday and Sunday – December 16, 17 and 18. 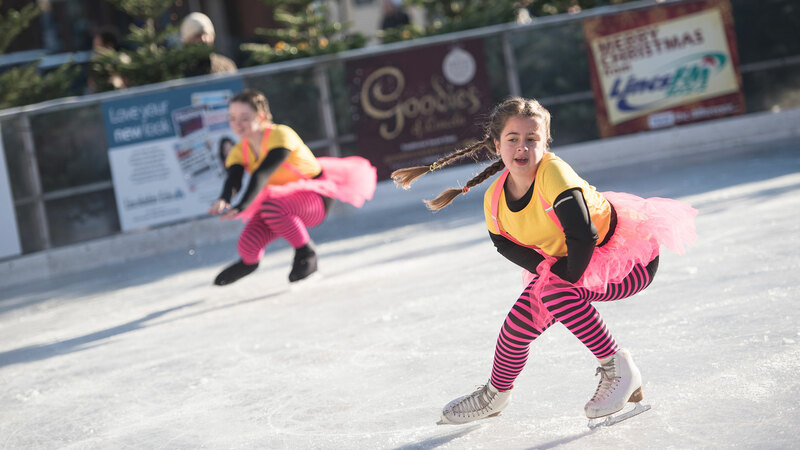 Those who do could also pick-up a “seasonal bonus” by visiting the Lincoln BIG Ice Rink and claiming a £1 discount. The Business Improvement Group has teamed-up with Stagecoach and the Lincolnshire Showground to run the special park and ride deal. Lincoln BIG Chief Executive Matt Corrigan said: “Our park and ride deal has been set-up specifically to ease people’s parking headaches and help them to relax and enjoy their visit to the city. “We have had some really positive comments from drivers who used this facility last weekend and we are looking forward to welcoming even more on Friday, Saturday and Sunday. “People can park and ride from gate 1 at the Lincolnshire Showground (LN2 2NA), between 9am and 6pm on Friday and Saturday and between 10am and 5pm on Sunday. “There will be a sign indicating the entrance. (The above times apply to the first bus leaving the Showground and the last returning from Lincoln Bus Station). Over 1,000 parking spaces are available at the showground. The fare is £2.50 return per adult and children can ride for free. There are no deductions for concessionary bus pass holders, and fares will be payable on board the bus.